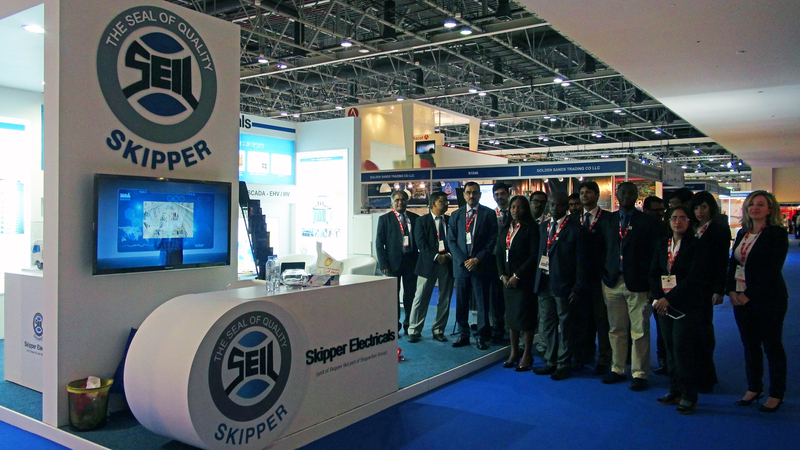 Skipper Electricals participated in the Middle East Electricity Exhibition 2014 (Sheikh Saeed Halls, Stand S1H49) which took place from 11th to 13th February at the Dubai World Trade Centre. 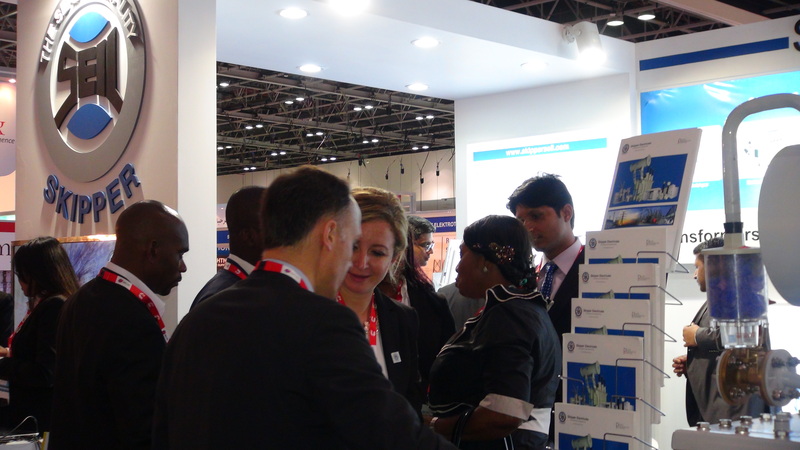 Skipper’s presence this year featured a grand stand displaying the Company’s prowess in world class power products including Skipper Distribution Transformer, 145 kV Mobile Substation and Metering Panels. 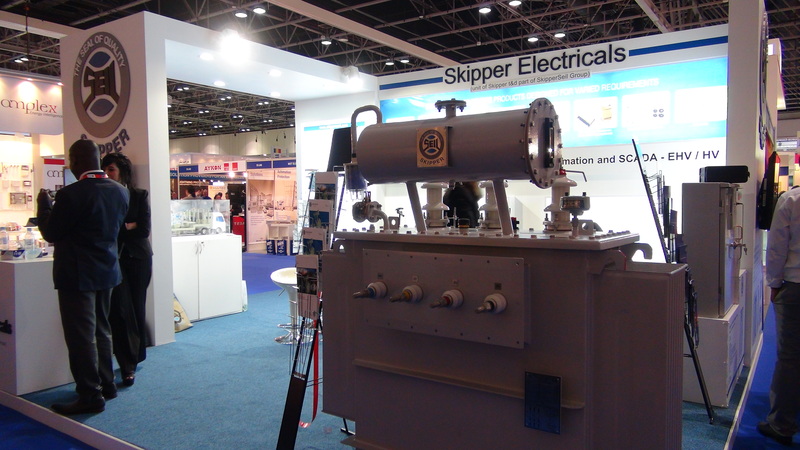 Skipper’s best-in-class product range, through its Indian & African manufacturing units, includes Power Transformers upto 100MVA/220kV class, Distribution Transformers upto 4MVA 33kV, Current & Voltage Transformers upto 220kV, Special Duty Mining Transformers, Induction/Arc Furnace Rectifier Transformers, Indoor & Outdoor Gas Insulated Switchgear upto 220kV, Compact Package Substations upto 11kV, Indoor & Outdoor Metering Units upto 36kV, Off Load Isolators upto 400kV, SCADA, Automation & Instrumentation Panels, Vacuum Circuit Breakers upto 36kV, and, Drop Out Fuses and Elements upto 36kV. Skipper has also successfully forward integrated into EPC for EHV transmission lines and substations of any scale up to 400 kV. Skipper’s CSR initiatives in various countries in the areas of healthcare & education testify the Company’s commitment to “Making a Difference in the Lives of Millions Everyday”.